Sculpture Size: 3.5 X 3 in. Sculpture Size: 4 X 4.5 in. Sculpture Size: 7.5 X 4 in. To the Egyptians, Rabbit is associated with the simple concept of being. One of the 12 Chinese astrological signs and considered most fortunate as it possesses the powers of the Moon. 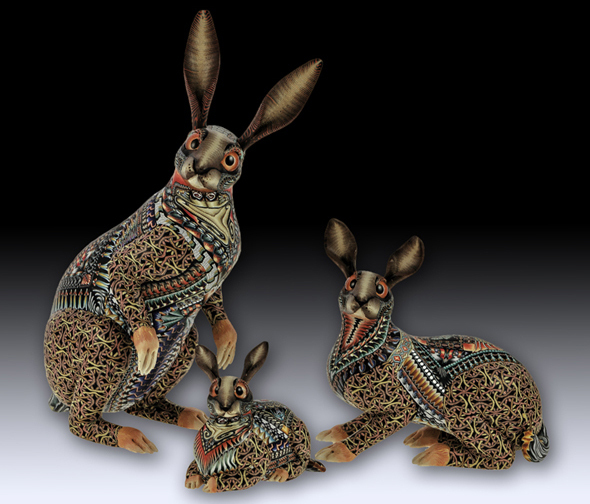 Rabbit Spirit is kind and open hearted, full of wonderment and exploring the natural beauty of life. Rabbit realizes the quiet strength of gentleness and is capable of liberating the kindness and innocence in one's soul often hidden under layers of hurt and personal pain.